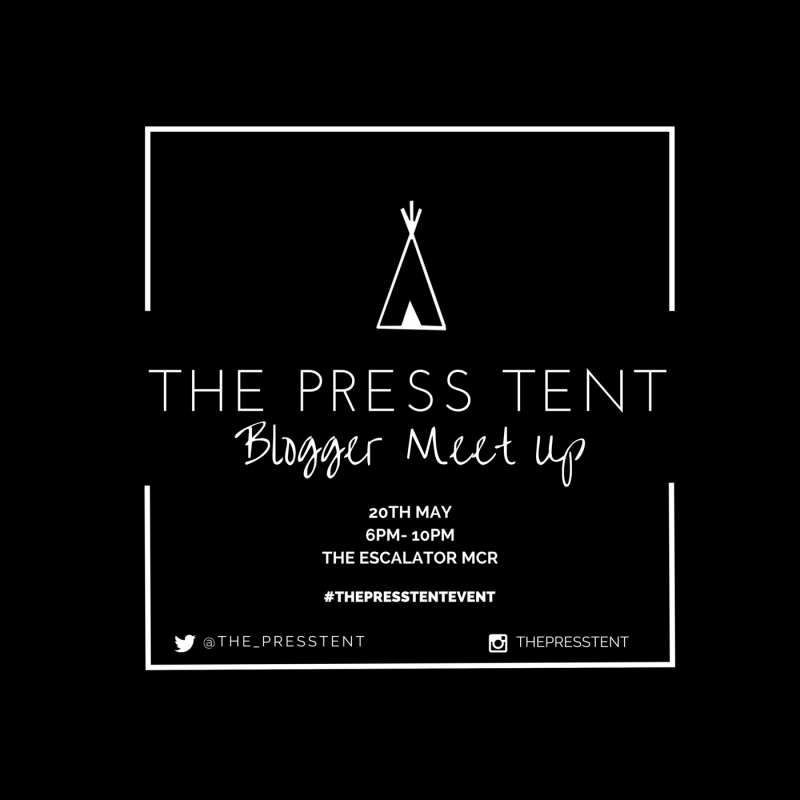 I went along to my first event of this kind, meeting a number of brands and bloggers at The Escalator conference space in Manchester at an incredible event run by The Press Tent. There were so many fabulous brands there that I'd either never heard of, or had seen around Twitter and read their blogs and was excited to meet face to face! This event had everything a bloggers heart could desire from fashion to accessories and music to cocktails! 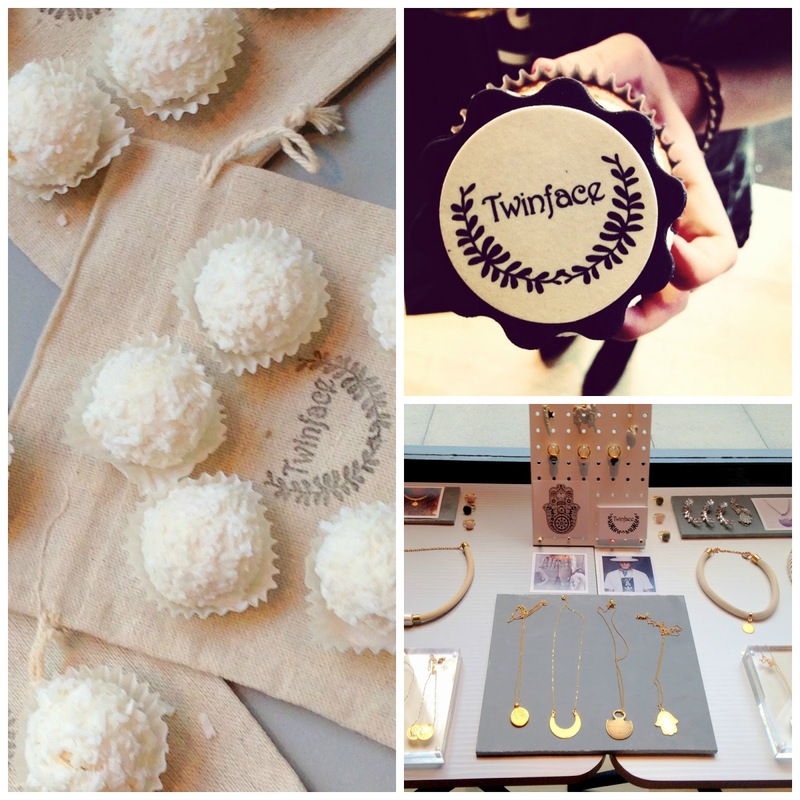 Twin Face jewellery is a really unique twist on modern jewellery with a feel of both bohemian and vintage routes, and as the name suggests, run by two Manchester based twins, who are such lovely women! Plus, the addition of having cake and coconut balls was a definite attraction. That aside, the jewellery was incredible. All the pieces were simple, mainly in creams, bronzes and golds, but were all so unique, each with some intricate detail. It's the kind of jewellery that you could wear with anything and everything from a classy day time look to an evening ensemble. My favourite piece was the Hamsa Star of David, which at £30 is an incredible piece of jewellery that's both beautiful and elegant with a bohemian twist. Wicker Wings is a family run, hand crafting handbag company, using a unique way of creating beautiful bags. By using just one frame they create the main compartment of the bags completely out of black wicker, with lining and a beautiful leather hood in a variety of colours! There is also the beautiful gold Wicker Wings logo on the clasp. The brother and sister combination of James and Belinda were such lovely people, and told us an incredibly inspirational story of how their parents brought them to the country to make the best of their lives, and used to send money back to their village in China to help. Wanting to continue on this tradition and better education in China, for every Wicker Wings bag that is purchased, James and Belinda send over a drawstring back to China to help schools and children there have more equipment to learn with. Even with out the philanthropic concept to this company, the bags are something that I have definitely got my eye on, especially the Maroon bag (not yet available). I also loved that each of the bags had a different name, such as the available bags - Lulu Brown (above) and Blake Grey - which are named after inspirational people to the Wicker Wings siblings (Blake being the founder of TOMS and Lulu (Lucinda) being their sister). As we wandered around looking at all the incredible brands, one thing caught my eye, and that was the cocktails, which looked incredible from the deep orange colour of the Licor 43 & Ginger Beer cocktail to the impressive and eye catching cucumber twist in the Luxardo & Tonic cocktail. Both of these cocktails were incredible and tasted so nice, I had to try both. The bar tenders Salvatore Leone and Illuminati Bar owner, Thomas Ashley were such lovely guys and so knowledgeable about the cocktails they were making. 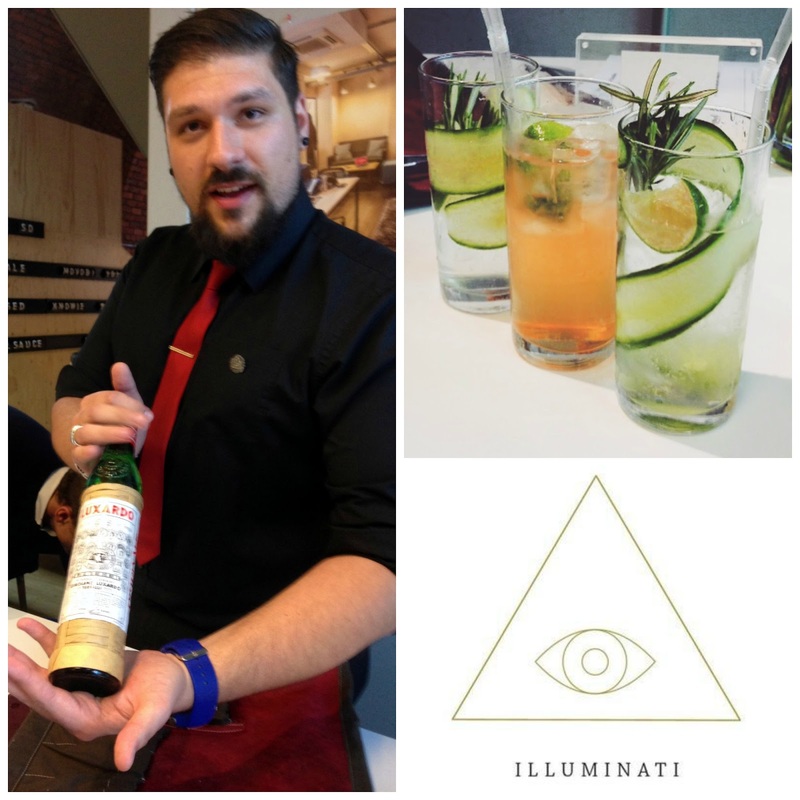 Illuminati Bar is definitely something I'm going to have to check out before I move to the South! We were also given a really nice Rose Champagne from Luc Belaire provided by Jonathan Boyce at Cellar Trends, which was really lovely to be greeted with and have something to kick off the evening! I'm not usually a champagne or fizzy alcohol person, but this was really tasty. 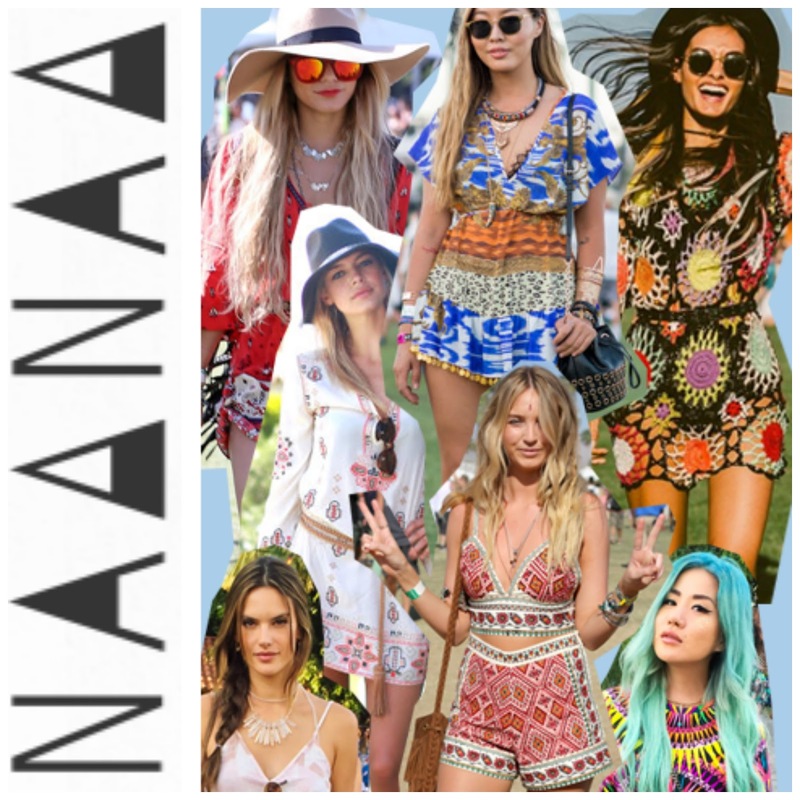 I really loved NaaNaa clothing, with bright colours and prints giving it a real stand out feel. I especially love the bohemian print range which is like a classic style with a bright, vibrant twist, which is really good for this Summer! I'm not usually one to venture into the world of online only shops, especially in the case of fashion as I generally struggle to find things to fit me, but the patterns, and especially the accessories from NaaNaa may sway me. Miss Foxy was another brand with bright colours for the Summer, but I was really drawn to their more block colour schemes, especially the mint green colour in the shorts, which you can just about see at the back of the image and the peach colour in the second dress in from the front you can see above. Miss Foxy is one of the only brands I have heard of before coming to this event, and whilst I can't fit my Plus Size bum into any of their clothing, I was really interested to see the trends and colour schemes they were following as their style has always been a favourite of mine. What Emma Did Boutique was one of my favourite things at the event, with beautiful dresses in a range of styles. Being an incredibly new boutique, it was nice to see Emma showcasing her stuff at an event with so many more established brands. The dresses are such a good price for the quality and the beauty of them, and I definitely had my eye on a few trends and fabrics I will be hunting down in the coming season. Emma herself was also one of the loveliest people I've ever met and the fact that she has been a blogger first and foremost for a number of years before expanding into owning her own fashion brand means she is really understanding towards the blogging community. She was so genuine and even gave us a notepad - going straight to the bloggers heart - which I have already half filled with ideas! 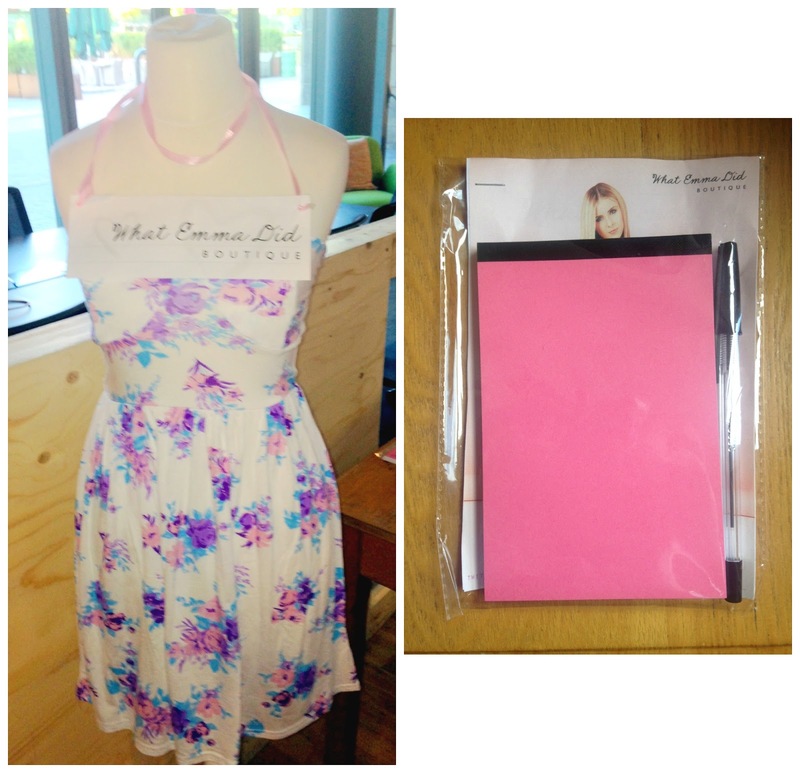 My favourite piece was the white dress pictured above with the blue, pink and purple flower design as it's such an adorable girly dress for the summer, and perfect for day or evening wear. Displaying some incredible pieces of both fashion and accessories, Rock On Ruby was a really interesting brand for me, using bold text in a variety of amusing quotes on their clothing, which reminded me of a fashionable sportswear style, and in their makeup bags (pictured above). These pieces would make such brilliant present, and would definitely create a conversation starter - I'm saving up for a makeup bag as we speak! The amazing girls at The Press Tent were also incredibly lovely throughout the whole evening, and were kind enough, along with a number of brands to supply us with some goodie bags at the end of the evening. I was overwhelmed at the amount of stuff we got in our goodie bags! But, what did we get? Colour Freedom Hair Ultra-Vibrant Hair Colour | I'm really excited to try this hair colour - I got one in 'Magenta Dream' which is a beautiful pink colour. I'm not sure how it will take to my medium brown hair, but I hope it is as vibrant as on the box! There is also a really unique feature with these hair colours in that you can purchase a pasteliser, to create a while new colour in pastel form for your hair which is really intriguing! It's like two hair colours in one. Kiehl's Facial Samples | I've already tried the 'Facial Fuel' sample, which is really nice. It's got a nice fresh smell to it and it really does make your skin feel incredible. It came in especially handy after I did the Pretty Muddy 5K for Cancer Research UK when I came home more muddy than I ever think I got as a child! I'm really looking forward to trying the other samples too after such a good experience of using the 'Facial Fuel'. NaaNaa Clothing Tote Bag | This tote bag will come in so useful. It's a beautiful, simple bag and a great size for shopping! Miss Foxy Gift Voucher | Whilst I can't fit my large bum into Miss Foxy's clothes, I know plenty of friends who would love their fashion, and this voucher will be a lovely gift to them for a generous 20% off Miss Foxy's Twitter account! Licor 43 50ml Bottle | All I can say is yum...I am definitely popping down to my local supermarket to get some ginger beer to recreate the amazing cocktail we had at this event. That is, if Pete hasn't stolen it first! Vita Coco Drink | I've never had a drink quite like this, and I'm not usually a fan of coconut, but this was really tasty, especially in the pineapple flavour we got. It's always nice to find something so healthy and good for you that also tastes nice. Pop Chips | I used to be obsessed with Pop Chips, especially the black pepper flavoured ones when I worked at a stationary shop that sold them. They are so yummy and much better for you than other crisp brands. ASAP Sticky Noted by Knock Knock | These sticky notes are really amusing, with ASAP not standing for 'as soon as possible' as you may think, but 'as slowly as possible'...their other products are also definitely worth a look, I'm becoming dangerously addicted to them. Gosh Liquid Gel Liner | I got two gel liners in my bag, one silver and one metallic blue. Other gel liners that I have that have a glittery quality to them tend to look a bit pale and broken-up, but these go on really well and aren't as garish as some metallic gel liners. They will definitely come in useful for some summer nights out and even fancy dress. I especially love the silver colour as it's more of a steel. This was an incredibly fun event, and I can't wait for the next one hosted by The Press Tent. For a new venture of event style it went really smoothly and I'm really happy I got to see and discover some new and exciting brands I didn't know about before, as well as getting to talk face to face with the brand owners, especially Emma from What Emma Did Boutique and Belinda from Wicker Wings!